Fumble Asks - Is YouTube Censoring the LGBTQ+ Community? Is YouTube censoring the LGBTQ+ community? The hashtag #YouTubeIsOverParty is trending on Twitter after members of its LGBTQ+ community discovered some of their videos are being hidden by the site. As reported in The Guardian, Rowan Ellis is a British YouTuber with over 22.5k followers who vlogs on feminism and queer perspectives. Last week, she posted a video that suggested YouTube is guilty of an anti-LBGT bias. 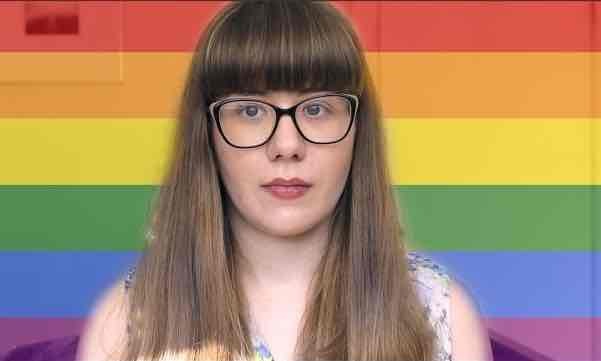 In the vid, Ellis explains that YouTube’s restricted mode is ‘filtering out a hell of a lot of LGBT content’, with 40 of her own clips hidden by the video streaming site. “I think it’s really important to look at why LGBT content has been deemed inappropriate,” she said. Many LGBTQ+ YouTubers have spoken out over how upsetting it is that their videos – such as one marking Asexual Awareness Week, and others detailing a transgender vlogger’s experiences – have been hidden. On Sunday, YouTube creators tweeted a statement saying the filter’s intention was to remove mature content for a select user group, but failed to explain exactly why and how they categorised material as inappropriate. Read more on the story here. Find out about gender and sexuality via Brook. Get help and advice, if you need it, via Stonewall.